By Stephen Larkin | April 1, 2014. 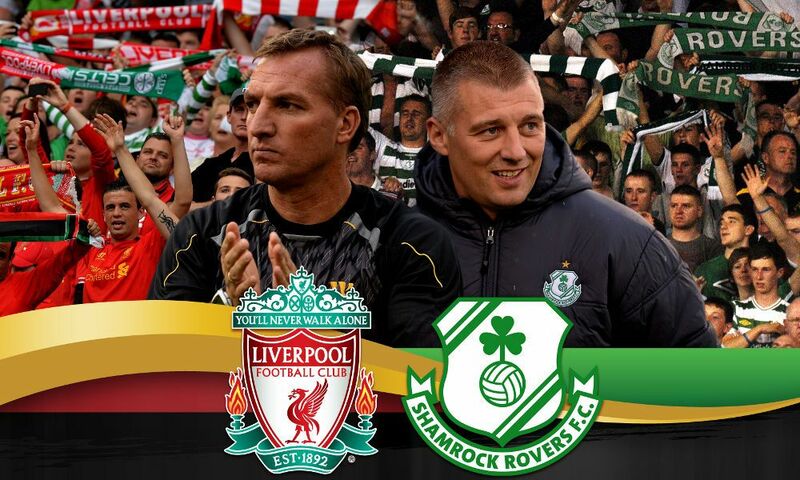 Airtricity League-side Shamrock Rovers have announced that they will play an end of season friendly against Liverpool at the Aviva Stadium on 14 May. The fixture will take place just three days after Liverpool will play their final Premier League game of the season against Newcastle United at Anfield. Liverpool are currently in the mix for the title which means Dublin could be welcoming potential champions. It is understood that Liverpool officials are keen to return to Ireland following the success of last summer’s Dublin decider against Celtic, which sold out within 30 minutes of tickets being placed on sale. Though Liverpool have also been invited to play a friendly in Mauritius at the end of the season, they are hoping to be available for the proposed date at the Aviva. The Hoops have been allocated the South Stand in the Aviva Stadium and have 7,000 tickets together in what will be the Rovers end on the day. 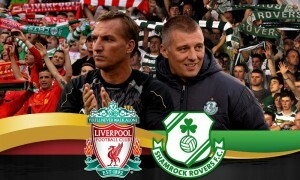 The last time Shamrock Rovers and Liverpool met was 32 years ago in a friendly at Milltown in Dublin. The final score was 1-1, with Ian Rush scoring for Liverpool. Billy Hogan, the club’s chief commercial officer, said: “We are looking forward to coming back to Dublin again this year to play in front of our Irish fans. Liverpool have pledged to send a first-team squad but no players set to feature in this summer’s World Cup will be involved.